Jan-Peter Meyer-Kahlen heads up Ericsson’s ICT Development Center Eurolab in Herzogenrath near Aachen. His main area of responsibility includes 4G/5G network solution R&D and Technology Services in the Technology and Communication industry. Priority focus on industry engagements relating to 5G research, 5G Radio & Core development, NFVi and Cloud System engineering. The Ericsson Eurolab is a critical environment for driving 5G Industry collaboration programs in the automotive and manufacturing domain through Ericsson’s 5G for Europe program. 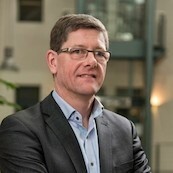 Jan-Peter Meyer-Kahlen has worked for Ericsson for more than 20 years, during this time he has held several senior management positions in Germany, Canada and Sweden within various product areas: Mobile networks R&D, global customer support and cloud system solutions engineering.